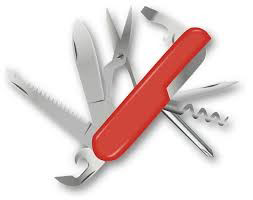 Best Practices for your Security Swiss Army Knife! If you’ve recently attended a Palo Alto Networks event, you may be familiar with their sessions on best practices for various Palo Alto Networks technologies and security initiatives, which are by far, their most popular and well-attended sessions. Over the years, tons of tips and tricks have been accumulated throughout tens of thousands of customer engagements that they actively recommend to the customer base. Many new ways are still being discovered for how customers combine and use features to solve their problems. Palo Alto Networks use tips like these to help customers better secure their organisations and more fully leverage technology and features within the Palo Alto Networks Next-Generation Security Platform. It’s all about enabling business and preventing breaches. For more information on course details, schedules, special offers and Palo Alto Networks certification paths.